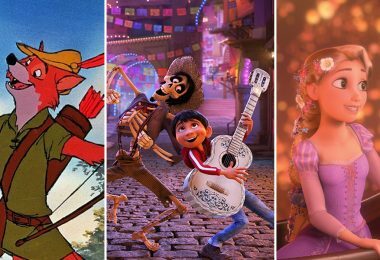 Disney Store has just announced the all-new collections and Limited Editions that will be launching at D23 EXPO 2015, and there’s a lot to be excited about! 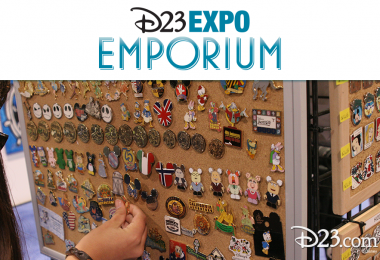 Disney fans will enjoy a truly spectacular Disney Store shopping experience in the 3,000-square-foot retail space Disney Store will have within the Disney Consumer Products Pavilion. 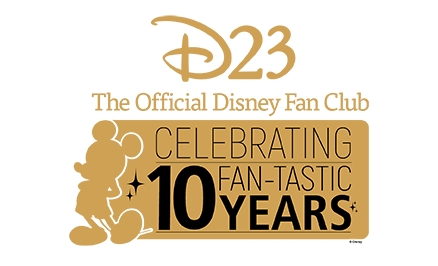 The Disney Store shop will feature new and exclusive products, with new items celebrating everyone’s favorite characters unveiled each day throughout the weekend. 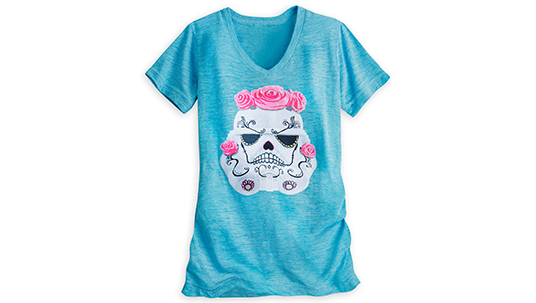 Disney Fairytale Designer Collection—Happily ever after meets happily evil in Disney Store’s newest series of the Disney Fairytale Designer Collection being previewed at D23 EXPO. 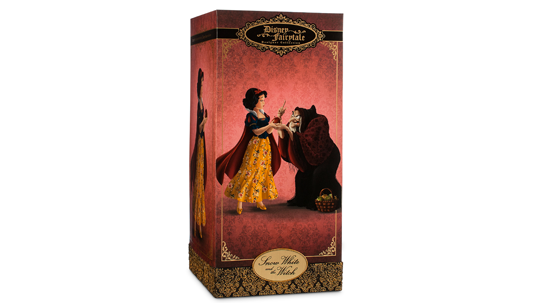 Featuring five sets of Limited Edition pairs, these collector doll sets were designed by Disney Store artists and carefully crafted to capture the beauty and romance of fairytale friends and foes. This line expands into a collection of apparel, mugs, journals, home décor, and more, available to the general public in stores and online on September 14. 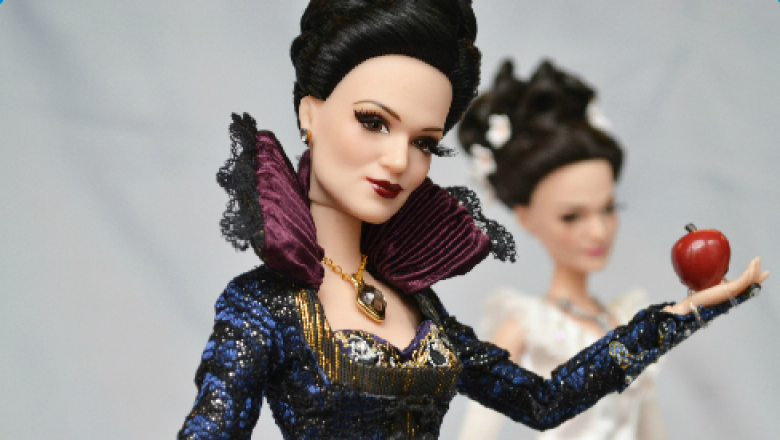 Once Upon a Time—Continuing the ‘heroes and villains’ theme, Disney Store will introduce the Once Upon a Time Snow White and Evil Queen Doll Collection, available exclusively at D23 EXPO. Limited to an edition of 300, the doll collection, inspired by ABC Studios’ television series Once Upon a Time, brings to life the beauty, magic, and charm of the iconic fairytale characters from the show. 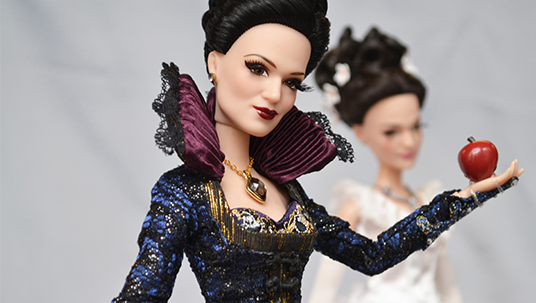 Exclusively for guests who purchase the doll set at D23 EXPO, Ginnifer Goodwin (Snow White) and Lana Parrilla (The Evil Queen) will be available for an autograph signing at the ABC booth on the D23 EXPO floor from 4–4:45 p.m. on Saturday, August 15. 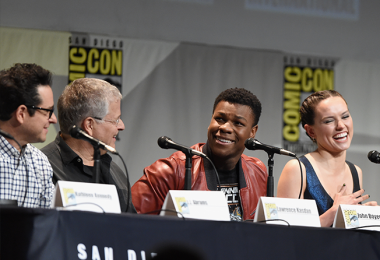 This special opportunity will be followed by the Once Upon a Time panel taking place in Stage 23 from 6–7 p.m.
Star Wars—Disney Store will launch an exclusive collection of Star Wars items at D23 EXPO on Friday, August 14. 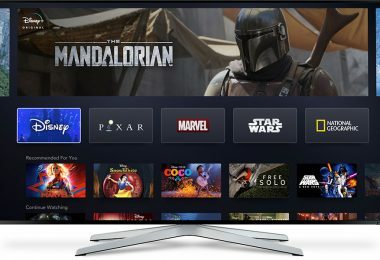 The collection will feature apparel, collectibles, and toys, including the Star Wars Elite Series, a new line of highly articulated and detailed die cast action figures, representing characters from Star Wars Episodes I-VI. The action figures will be sold individually at Disney Store locations beginning later this year; however, D23 EXPO attendees have the opportunity to purchase the full set of Star Wars Elite Series action figures, which includes D23 EXPO-exclusive versions of R2-D2 and C-3PO. 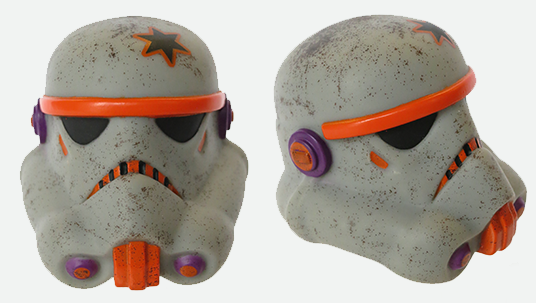 Additionally at D23 EXPO, Disney Store will introduce Star Wars Legion Helmets, a series of eight vinyl collectible helmets inspired by the Star Wars Legion Helmet project launched in early 2014. Celebrating creativity and Star Wars, the project pulled together artists from across The Walt Disney Company, resulting in 300 Stormtrooper helmets being transformed into diverse pieces of art, which inspired these collectible recreations—epic additions to every Empire. 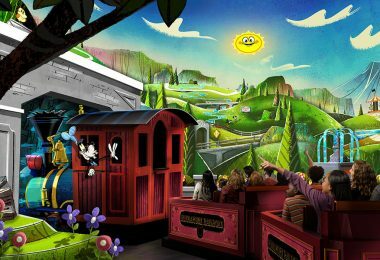 Toy Story 20th Anniversary—In celebration of the 20th Anniversary of Disney•Pixar’s Toy Story, Disney Store gleaned art from the adored film’s archives to illustrate the evolution of the beloved characters, Buzz and Woody. 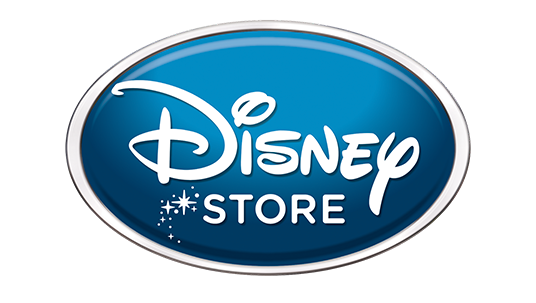 Featuring toys, collectibles, apparel, and more, this collection will be released at the Disney Store shop at D23 EXPO on Friday, August 14. Disney Tsum Tsum—All-new collections of everyone’s favorite stackable plush will be unveiled at D23 EXPO, with one releasing each day in limited quantities in mini, medium, and large sizes. 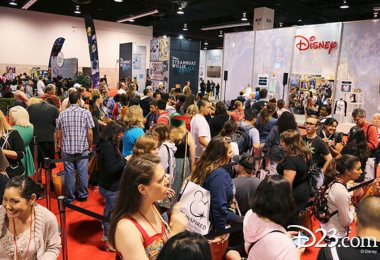 In addition, limited-edition mini box series—exclusive to D23 EXPO—will be released along with each collection, and a Mickey Mouse Tsum Tsum mini vinyl figure will be available for $5 with any purchase, while supplies last.